We wrecked our first copy of Cars and Trucks and had to buy a replacement. 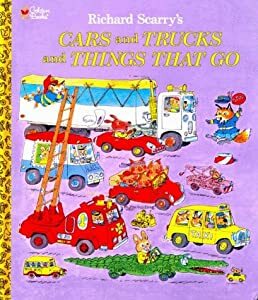 My son made a toothbrush themed car for his Cub Scout Pinewood Derby this year in honor of this Richard Scarry book, and we still get it out to try to find Goldbug. We have gotten so much mileage out of this book! An all time favorite. What a great idea for the Pinewood Derby! I love the idea that that book would get to come to life in that way. 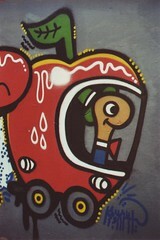 And I have to admit that looking for Goldbug is pretty satisfying, even for an adult!